Marketing in the travel industry is all about meeting the customer at the right point in his or her journey. Whether you connect with her while she’s dreaming of new destinations or when he’s boarding the plane, you’ll find unique opportunities to engage with the traveler and fill a need. 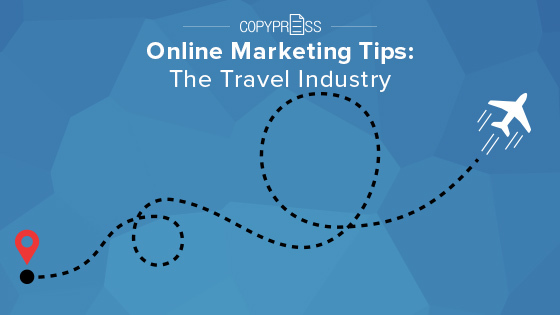 Try these tips for successful marketing in the travel space. Though many travelers do go to the time and effort to plan ahead, it’s important to address the growing trend toward acting on the spur of the moment. Google searches are on the rise for “near me” terms, as travelers turn to their smartphones to find a restaurant when they’re hungry or an interesting attraction to fill extra hours as they open up. Travel-related searches with the terms “tonight” and “today” increased more than 150 percent between 2015 and 2017. These last-minute travelers are susceptible to timely deals. Marketers of hotels and flights offering great rates for impulse trips have a powerful opportunity to connect with these shoppers. Providing steep discounts in this window is often a win-win, as rooms or airplane seats that haven’t filled by this point are at a risk of staying empty. Even a deeply discounted travel reservation is better than an unused opportunity. What to do in (destination)? Create online marketing campaigns that help answer these questions while introducing your products and services. Don’t wait for the searcher to type in “hotels.” Offer a sample itinerary of things to do in your surrounding neighborhood accompanied by an enticing booking deal that can make it a reality. Utilize several types of media for your online marketing. Video content provides a highly visual way to highlight your travel offerings. An estimated 106 million of the unique monthly visitors to YouTube are travelers. A well-produced video that highlights your destination will get travelers dreaming about the possibilities for a stay with you. Meanwhile, blog content can lay out the details of how to efficiently plan a visit, and vivid photos can keep your social media channels engaging. Remarketing is a feature offered by Google that allows you to target your advertising to users that have already visited your site. Remarketing efforts are particularly useful in the travel industry, because there’s a good likelihood that your visitor is still in the process of planning. After visiting one hotel site, the traveler may go on to compare prices and amenities from competitors. Using remarketing, you can keep your name front and center throughout the search process. Perhaps your visitor missed out on some of your hotel’s key features during their first visit. Your remarketing campaign can highlight your best qualities, like your sparkling rooftop pool or gourmet continental breakfast. Well-placed ads will put these front and center as travelers shop other travel sites, giving them some enticing reasons to consider coming back to you for booking. Mention which hotels, airports, attractions, and dining choices are in close vicinity to one another. Tell them how long it takes to get from one destination to another. Provide them with the best ways to get around town. Inform them of the best airport and transportation options to reach vacation destinations. Create detail-rich content as part of your online marketing efforts and give the visitor informative and actionable information. 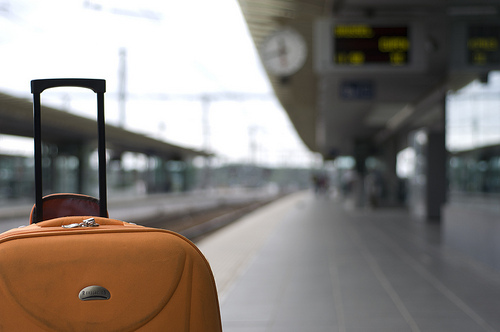 Keep in mind that the traveler’s journey doesn’t end at your hotel. This is just a home base for the surrounding adventures. Simplify the rest of their planning by helping them find tickets, dining reservations, and transportation options. If those tickets are available at your concierge desk and the shuttle leaves from your front doors, you’ll have added incentives for visitors to choose your destination. Remind travelers of upcoming details. Suggest other booking options (for instance, restaurants and hotels after booking a flight). Explain features of your travel app. Help travelers find their destinations. Remind customers of loyalty points earned. Provide offers for future bookings. Capture a name, email address, and other information early so you can send carefully tailored communications to your traveler. The more personalized, the better, so don’t hesitate to ask about other interests. If you know that your flight passenger is headed to a sci-fi convention, you’ll be uniquely positioned to offer deals for future flights to other similar events. Mobile use is on the rise for travelers at every stage of the planning process. Optimizing your website for mobile use is just one key part of marketing to those on-the-go. You should also consider developing an app that can streamline your features further. Virgin Hotels offers Lucy, a comfort assistant app that allows guests to schedule turndown service, adjust the thermostat, order extra pillows, and more. A feature like this could be just the thing to tip the traveler’s final decision in your favor. Every traveler is different, but your destination will likely draw a particular type of personality. Whether you’re catering primarily to those who pre-plan all the details, or you have prime opportunities to become a go-to resource for the impulse vacationer, you can make a powerful connection with a few of these marketing tactics.